Pictured L-R above: Emma Shoultz, Natalie Gulley, Elizabeth Bowman, Navdeep Lidher, Miss Craft (teacher and sponsor), Blake Shea, Paul Planker and Andrew Zoss. Photo taken shortly before they departed on their 4 a.m. flight Tuesday morning. 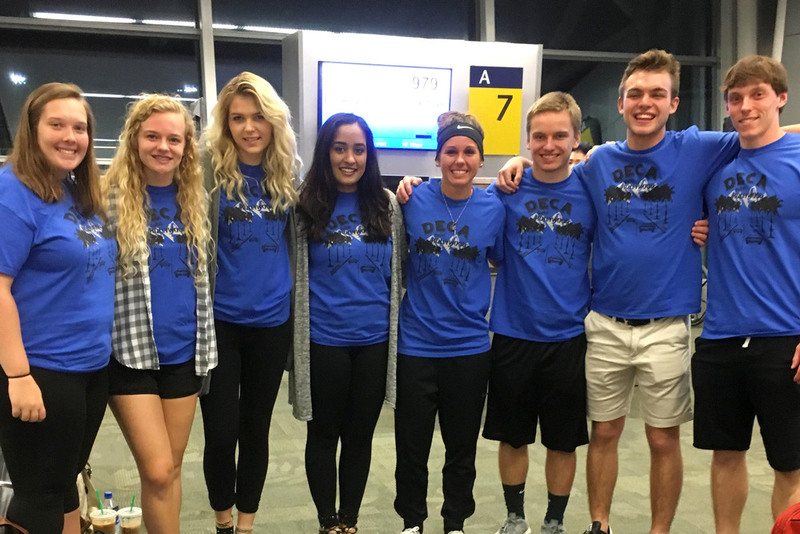 Our sideline cheering and support this week is focused on the PHS students competing in the 2017 DECA International Competition, being held in Anaheim, CA. The seven PHS students are joining 18,000 others from all 50 US states, as well as Canada, China, Germany, Guam, Mexico, Puerto Rico and Spain. Paul Planker was elected President of Indiana/District 8. This honor allows him to attend the Empower Academy** to receive officer training for his newly-earned position, which will span the 2017-2018 school year. ** Empower Academy works with DECA association officers to help them hone the skills needed in their new role, as well as how to design an effective strategic plan and improve communications strategies and methods. 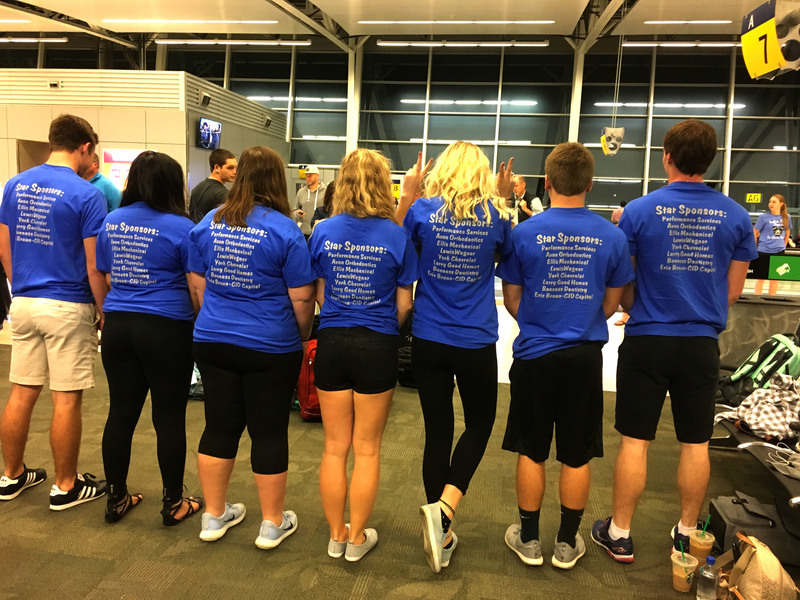 These students may well be future corporation executives, entrepreneurs, financial tycoons or even politicians, and the experiences they'll gain during the DECA International Competition will be vital, regardless of their career choices. We wish them all well in their events! And as you can see from this photo, the students and their sponsor, Miss Megan Craft, are very grateful to their sponsors, without whose help the cost of the trip would have been prohibitive. Once again, we are reminded of the generosity of our Plainfield community!